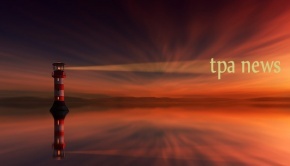 Latest Prog News from across the progressive rock spectrum & updated throughout February 2018. Marillion have announced that their performance at London’s Royal Albert Hall last October will be released on Blu-ray, DVD & Special Editions on 2nd April 2018 – via Racket Records. 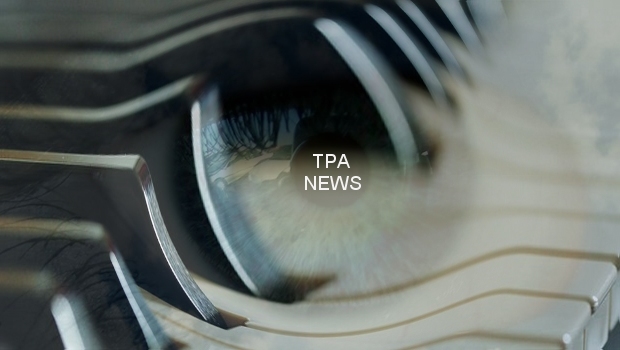 More details will be revealed shortly. Ahead of the release the band have also announced that the concert will be screened, on 26th March 2018, at the Everyman Cinemas in Kings Cross, Esher, Chelmsford, Leeds, Birmingham and Bristol. 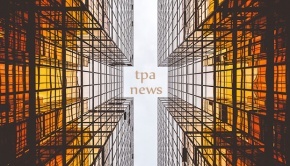 More cinemas may be added subject to council approval. A live registration from Ayreon Universe’ three performances from Tilburg’s 013 venue, last September, is set to be released on 30 March 2018, via Mascot Label Group/Music Theories. Today sees the second trailer from the release featuring Floor Jansen, Anneke van Giersbergen and Marcela Bovio. Ayreon Universe: The Best Of Ayreon Live will be released in several formats including: 5-Disc Earbook | Blu-ray | DVD | LP – full details to be revealed shortly. 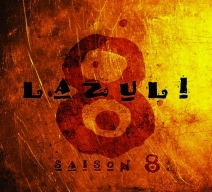 Lazuli will release their eighth studio album, Saison 8 on 20th March 2018. The band will undertake a series of European dates during April in support of the album – the dates can be found HERE. This performance was recorded in New Jersey [USA] by Tangekanic – featuring members of both The Tangent and Karmakanic. No exact date has been announced for the release of Hotel Cantaffordit, however it is anticipated the it will be shipping in early March. The band previously announced European tour dates in support ofSoyuz including one UK date at London’s Dome and concluding in Spain at this year’s Be Prog! My Friend Festival. 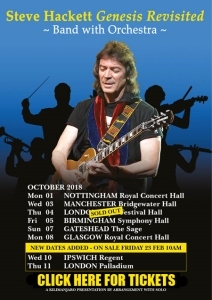 Steve Hackett has added two new dates to his October Genesis Revisited – Band with Orchestra 2018 Tour, as the London show at the Royal Festival Hall has already sold out. The Genesis Revisited shows will feature his band and a 41-piece orchestra – the additional shows are at The London Palladium and the Ipswich Regent. May is set to be an extremely busy month for the band, as in addition to the European tour they’re heading out to Marseille in France to play the 2018 Prog’Sud Festival. 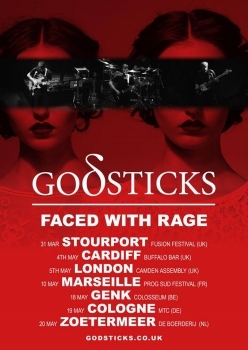 Godsticks will be appearing on the first day of the festival which begins on the 10th May 2018. No official release date has been announced, however Alberto is currently running a fundraising campaign and will end on 10th April 2018. In addition 15% of the income will be donated to Lega del Filo d’Oro, an Italian association which helps deafblind children. Bad Elephant Music announce the release of Where The Moonlight Snows, the second album from Manchester-based Mothertongue, which will be released on 23rd March 2018. Pre-orders are currently open now from the BEM webstore – and here a preview track Earthbound. 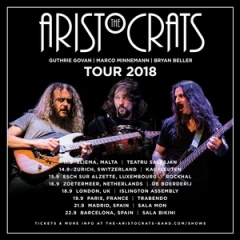 The Aristocrats, (comprising guitarist Guthrie Govan, bassist Bryan Beller and drummer Marco Minnemann) have announced a European Tour. The tour takes place in September 2018 and will bring the band’s unique and unrivalled brand of instrumental rock/fusion to excited fans across Europe. These will be the only live shows from The Aristocrats in 2018 and they are destined to be memorable ones, with a unique set list stacked with gems – some hits, and some surprises – from their three mind-blowing studio albums. French jazz violinist Didier Lockwood perhaps best known here for his work with Magma and Pierre Moerlen’s Gong has died suddenly on Sunday 18th February 2018 from a heart attack. He was 62. Composer & multi-instrumentalist George Bellas will release his latest studio album, Colonizing The Stars, on 22nd February 2018 via Shrapnel Records. George plays all the instruments on the album, barring the drums, and for this he has called in Peter Fredlander. TangeKanic is the recently formed touring band – performing the music of both The Tangent and Karmakanic and features members of both bands. Jonas Reingold (Bass), Andy Tillison (Keyboards & Vocals), Göran Edman (Vocals), Luke Machin (Guitar) and Steve Roberts (Drums). 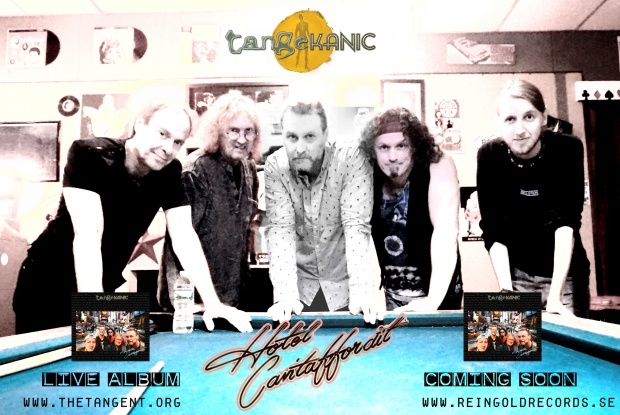 Andy Tillison today announced, through Facebook, the release of their debut ‘physical product’ live album entitled Hotel Cantaffordit. Recorded on one night in a nice tight New Jersey club right at the end of the USA leg of their 2017 tour. Oslo based trio Gaute Storsve Trio release their latest studio album, This Is Not a Toy, For Adult Collectors Only, on 9th March 2018. Led by Gaute Storsve who lived and worked in Cuba, and this clearly influenced his music. It presents vivid Cuban rhythms intertwined with modern jazz tonality. A Nordic laid-back sound merged with an American intensity. The album has a distinct and immediate jazz album feel, that ranges from the very energetic title track to mellow and sensitive parts. The trio consists of guitarist and composer Gaute Storsve, Petter Barg (bass) and Henning Carlsen (drums). Guest musicians on the album are Jørgen Mathisen (saxophone), Ketil Einarsen (flute) Per Ottar Gjerstad (trumpet) and Frank Bastrup Olsen (trombone). Yes will release a new mix of their 2011 Fly From Here album, with newly recorded vocals from Trevor Horn and additional material. 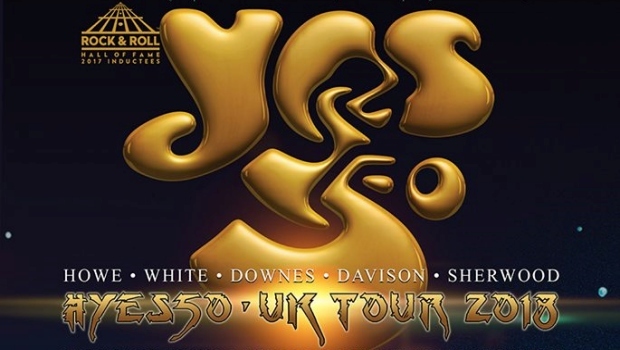 The launch will coincide with Yes’ 50th Anniversary Fan Convention at the London Palladium on the afternoon of 25th March 2018. Yes’ 50th Anniversary Fan Convention takes place on the afternoon of 25th March 2018 at London’s Palladium Theater. The event will feature a display of Roger Dean’s artwork, along with performances from Yes tribute bands Fragile and SeYeS. 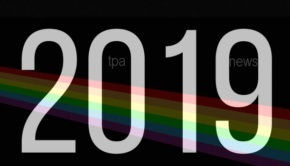 Visit the TPA Gig Guide for Yes’ 50th Anniversary UK Tour. Paul Draper plays a series of previously announced shows in February and March. At those shows, Paul and his band will play a set of solo material before performing Mansun’s classic debut Attack Of The Grey Lantern in full for the first time ever on the 21st anniversary of its release. Kscope reveal that TesseracT will release their fourth studio album, Sonder, on 20th April 20th 2018. Ahead of this the band have released the Luminary single. Daniel Tompkins comments on Luminary “conceptually exploring a deep and devouring sense of insignificance, which ties into the overall theme and meaning behind ‘Sonder’”. 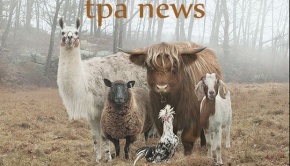 The band will be touring in North American during April and May. Support will be Plini and Astronoid. Vocalist Maynard James Keenan says: “Although I’m extremely excited to finally be completing this album after a 14-year hiatus, I’m actually more excited that its intentional release date is serving a greater purpose. The 20th of April is Carina Round’s birthday. She is a dear friend who is extremely difficult to shop for. Pressure off. Guitarist Billy Howerdel adds: “Demos are these precious ideas that you love in their initial state. Then you collaborate, invite other ideas, and watch them progress. The album will be available on Limited CD Digipak (including bonus tracks), Gatefold 180g Double Vinyl (incl. CD) & Digital Download. 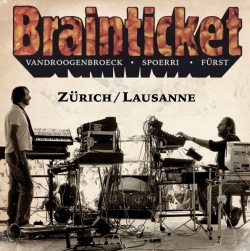 In 1980, Belgian-born multi-instrumentalist and songwriter Joel Vandroogenbroeck revived his early ‘70s avant-garde electronic act Brainticket alongside longtime member Willy Seefeldt, jazz musician Hans Deyssenroth, and Swiss jazz & electronic aficionado Bruno Spoerri. Three years later the quartet would perform their very first show in a landmark performance at the “Computer und Musik” symposium in Zürich, Switzerland. Though long a part of Brainticket lore, this concert has never before been released on a commercial format, that is, until now! Purple Pyramid records will release this incredible live performance, matched with an equally historic performance in 1984 at the Théatre de Beaulieu in Lausanne, Switzerland of Vandroogenbroek and Spoerri plus Peter Fürst. Both of these full-length concert recordings contain improvisations and compositions not found anywhere else! Zürich/Lausanne is available as both a 2CD set as well as on all digital retailers! To celebrate the start of Steve Hackett’s North American ‘Genesis Revisited, Solo Gems & GTR 2018 Tour de Force’, the GTR classic When The Heart Rules The Mind is released as digital single. When The Heart Rules The Mind will be released as a download on Friday 2nd February 2018. 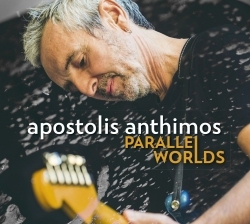 Metal Mind Productions announce the release of Parallel Worlds, the fifth solo album from guitarist and multi-instrumentalist Apostolis Anthimos (SBB). The new album will feature fourteen, mainly new jazz compositions, but also some reworked pieces. 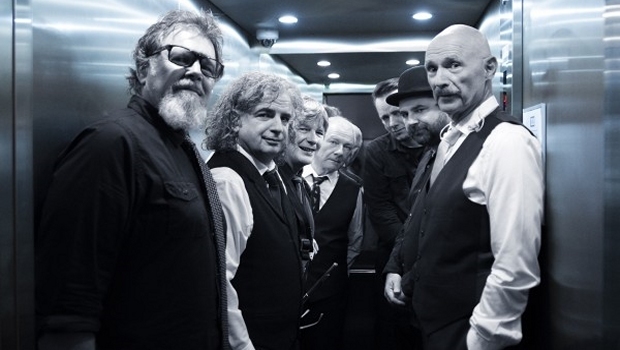 The album was recorded during September 2017, in MAQ Records studio, with Anthimos accompanied by Robert Szewczuga (bass), Piotr Matusik (keyboards) and Olaf Węgier (saxophone). The album will be released by Metal Mind Productions on 16th February 2018 [Europe] and 6th April 2108 [North America].